The Ooni of Ife, Oba Adeyeye Ogunwusi, has shown displeasure in the comments of Olugbo of Ugbo, Oba Obateru Akinruntan, that Moremi Ajasoro was a traitor and should not be celebrated. Oba Ogunwusi said this on Sunday in a statement issued on his behalf by the Director of Public Affairs. Ooni’s Palace, Mr. Moses Olafare, in reaction to the statement issued on behalf of the Olugbo by the Olugbo-in-Council. The monarch said it was absurd for anyone to describe Moremi, who according to him, used her power to liberate her people from the incessant invasion of some faceless terrorist, as a traitor. The statement read, “The attention of Ile-Oodua has been drawn to a statement credited to Oba Frederick Akinruntan through the Olugbo-in-Council berating the people of Ile-Ife for celebrating Moremi Ajasoro as a heroine and goddess of liberty. “This outburst of Olugbo can only be viewed by the well meaning people as a mere royal rascality and a pitiable act of absurdity that doesn’t deserve serious attention by serious minded people. “How on earth should a Yoruba king refer to Moremi as a traitor just because she used her power of a woman to liberate her people from incessant invasions by some faceless terrorists? The Ooni urged Yoruba people and all lovers of peace to ignore the “reckless statement” capable of dividing the people further especially at the moment he (Oba Ogunwusi ) was working to unite the entire Yoruba race and the monarchs. He said he was not in any supremacy battle with anyone and was not interested in engaging in such a worthless battle because he had been busy mending fences and working to bring all Yoruba people together since about a year ago he ascended the throne of his forefathers. “It is a pity that at this time when everybody is lucidly tired of retrogressive royal discord generally agreed to have colossally hindered our pace of progress as a people of common herinewse politically and socio-economically, the Olugbo who claims to be the chairman of Yoruba Obas Committee on Peace and Reconciliation has suddenly without a deep knowledge of Yoruba history woken up to see royal controversy as the only tool for cheap publicity. 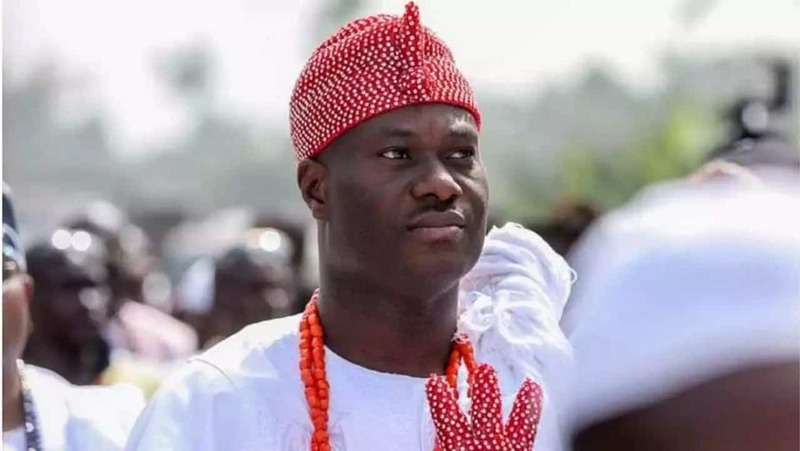 “Kabiyesi Ooni is not interested in taking issues with Oba Akinruntan or anyone on any matter that can jeopardise his peace and unity project which is already making impact in so many sectors,” he added.